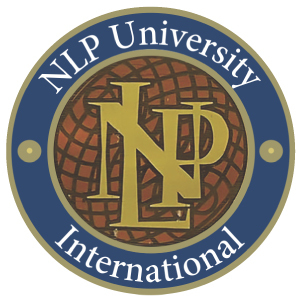 Home » NLP School blog » What Are Values in NLP and Why Are They Important? 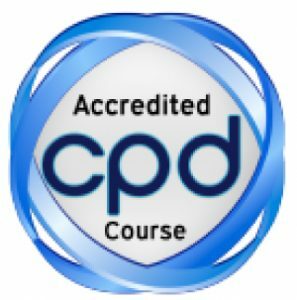 NLP started out back in the 1970s with a technological approach to therapy (analysing the linguistic structure of unhelpful beliefs). I like to think it has retained some of that early rigour and clarity, but in other ways it has softened and become more humanistic. Essentially, these levels are a tool for ‘targeting’ interventions, to help people understand where to make changes to fix a problem. Where is it best addressed? Is it just your environment? A habit you’ve picked up? A life-skill you need to learn? An unhelpful belief you’d be better off challenging and changing? The levels are tiered; the higher you go, the deeper they are. Right at the top is spirit, a sense of contributing to something bigger than self. Below that comes identity, and then beliefs and values. When I coach people, I ask them to make a list of their values. This can be a revelation, as can revisiting such a list after a break (‘Do I really value that? Actually, no…) I also ask them to explain each value with a simple sentence. The same value-word will mean different things to different people. For example, ‘honesty’ to one person might be always expressing what they feel, to another it might mean not lying. Finally, I ask clients to rank these values in order of importance. Such ranking might seem artificial, but it often helps resolve dilemmas. Someone asked to do something unethical by their boss may find themselves torn between integrity and loyalty. So which value matters more? If one of our core values is violated, we can feel the pain physically. This can lead to all sorts of difficulties in relationships – but also offer opportunities for growth and change. For example, A agrees to cancel seeing a relative to do something to please her partner B, though it’s against a core value of hers. She feels resentment, and ends up taking revenge by sulking for the entire evening. If B just feels hurt rather than understands what’s going on, then it all seems very mysterious and painful. Understanding the value systems of the people involved opens the way to a ‘win win’, where both parties agree on courses of action that respect both sets of values. This can be the ‘difference that makes the difference’ of whether a relationship will survive in the long term or not. The cycle of acquiesce, resent, retaliate can become a destructive ‘game of tennis’. Although your partner’s values may differ from your own, making small allowances (without violating your own values) is an easy and very powerful alternative. Are values and beliefs the same thing? Values and beliefs are often closely interlinked. Values are often expressed as beliefs, factual-sounding statements like “It’s important to stand up for your family”. However beliefs can be changed relatively easily, by subjecting them to reality tests. They may change in sudden transformative moments, but values are much more likely just to slip down your ‘list’ over time. A classic example is the great value many of us attach to going out and having a great time in our twenties. As we get older, we still like the odd night out, but other more sophisticated and healthy things start to take precedence. Here the value of ‘partying’ is transcended by ‘health and wellbeing’. 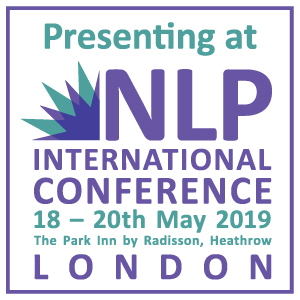 A final thought… NLP, in common with many other therapies, is keen to lessen the power of ‘shoulds’ and ‘oughts’ over people’s lives. But aren’t values all about shoulds and oughts? Isn’t valuing honesty the same as saying ‘I ought to be honest’? Logically this might be true, but the tone is different, and this matters. By stating something as a value and honouring it, we place the energy and the ethics inside ourselves. ‘Shoulds’ and ‘oughts’ place these things outside ourselves. 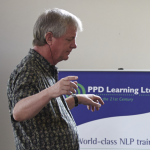 As an NLP coach, I’m keen to place them back in individual human beings – where, I strongly believe, they belong. 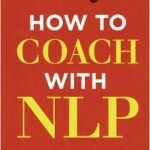 Such an approach reinforces the modern NLP approach, which is to give people responsibility and power rather than to ‘do’ something technological to them. I like it that way.